NPS (National Pension Scheme) is one of the pre-defined contribution pension systems, operated by the government of India. 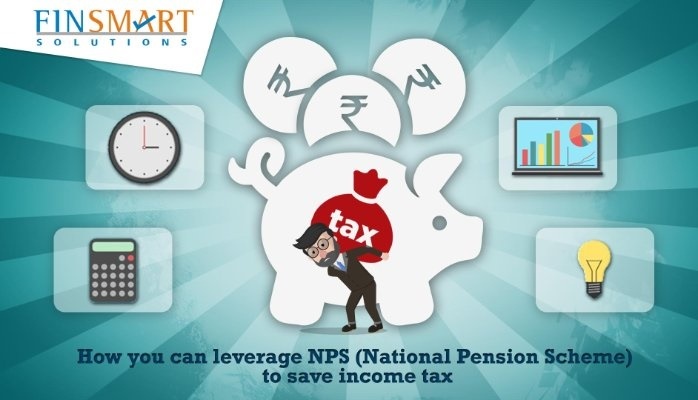 When we talk about NPS (National Pension Scheme), the first thing that comes to mind is retirement plans or pension schemes. However, there is certainly more to it than just that. There are several benefits that you can enjoy, both as an individual or as a corporate, while you invest in NPS. 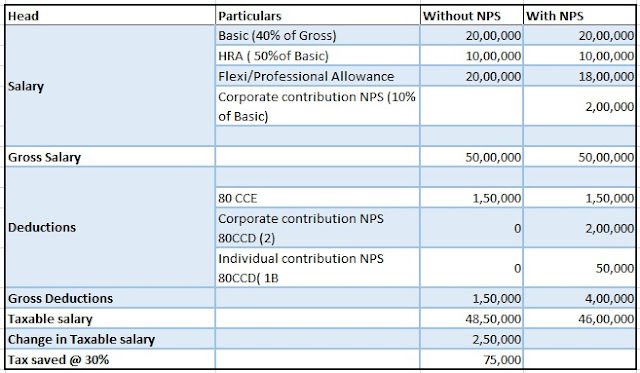 Under NPS corporate model employee can deposit contribution directly or he can route the contribution through the employer he is working with. 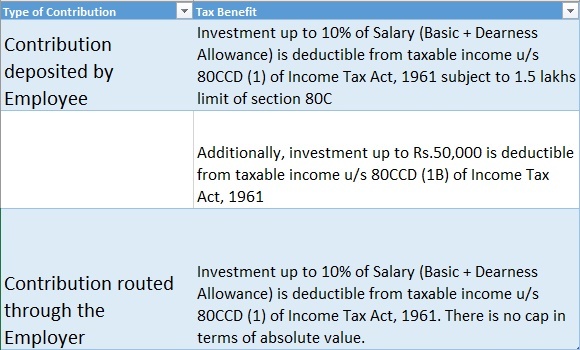 Both the contributions are eligible for tax deduction as shown in the scenario below.